As soon as this news broke out, Lebanese people customarily flocked to social media to joke and comment about Hezbollah’s new acquisitions. The jokes ranged from remarking that Hezbollah will soon import saffron-flavored medicine from Iran, to the more smart-alecky jokes that Hezbollah will not treat the sick because their doctrine celebrates martyrdom. As humorous as these jokes may seem, Hezbollah’s gain in government and its assumption of such an important government portfolio is not a laughing matter as the repercussions of such an act can only bode ill for the Lebanese state. 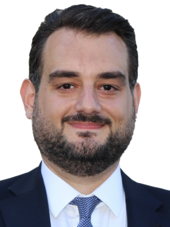 There are many facts and indications that talk of future sanctions over the Lebanese state is not merely a scarecrow tactic, but rather an eventual result of the many unwise decisions of Hariri, and his allowing of an organization classified internationally as a terrorist entity to occupy cabinet positions. The Lebanese at large, and unjustifiably, are beyond convinced that having Hezbollah hegemony over the government through its Christians allies and controlling key government positions, ones which receive substantial funding by the United States Agency for International Development (USAID), can be ignored, and more importantly uncontested. While the MOH at present does not receive any substantial US funds as it had been in the past, many of the health care programs for Syrian refugees have to go through it, and any disruptions to these programs will only place unwarranted burdens on Lebanon and its defunct healthcare system. More so, even if these funds are compensated by any other means, there is nothing to prevent the various international funding bodies from reviewing all of its other programs to make sure that Hezbollah and its partners are not recipients of any of these funds, thus greatly risking the whole aid system. Since the start of the debate over the government’s formation nine months ago, Hezbollah brazenly demanded the MOH while knowing quite well that such a request will lead to the immediate seizure of millions of dollars of funding that the Lebanese state receives from international agencies. Strangely, despite repeated warnings of the imprudence of such an appointment by the US administration through its ambassador in Beirut as well as a number of senior state department envoys, Hariri and all other political factions refrained from flagging the obvious dangers of such a reckless move. At present, Hezbollah not only fancies this key government portfolio, but rather needs it in order to overcome a series of challenges it faces both locally and regionally. The hardening US sanctions on its financial network has forced Hezbollah to scavenge for additional resources and to turn to places it formerly chose to avoid, particularly the Lebanese state and its resources. Hezbollah’s infrastructure includes thousands of fighters and their extended families- some of whom have been seriously wounded in battle both in Syria and the region- and requires costly recurrent medical care, one which Iran’s Lebanese proxy might find difficult to provide in the future. Second, the sanctions on Iran primarily exempts both food and medicine, thus these loopholes are perfect for Hezbollah to funnel the much needed funds and possibly conceal them within the framework of the MOH as well as other ministries they can subjugate. More conveniently, as Hezbollah and its allies now have quasi veto power over the cabinet, it can take a back step and use the MOH as a PR tool to improve its standing vis-a-vis other Lebanese communities. The MOH, with its vast network of services, crosses over the various sectarian and district lines, some of which have thus far remained immune from Hezbollah influence. If Hezbollah succeeds in properly running the MOH and gains the approval of the wider Lebanese public, its popularity can only stand to improve. If it fails, it can simply blame the US and the West for their failure. 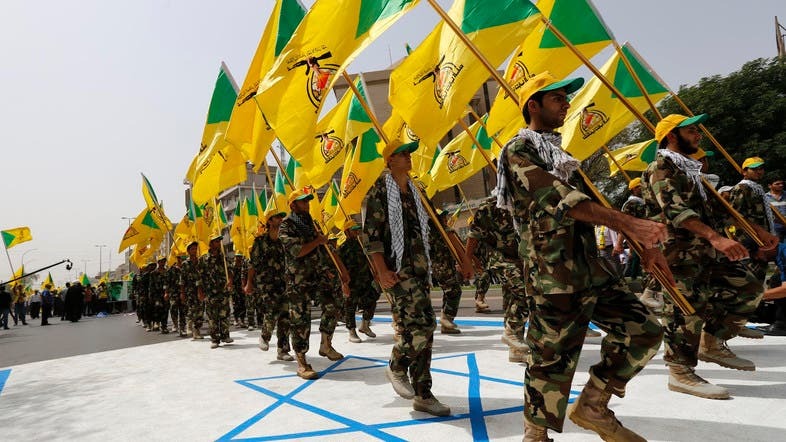 By trying to wear a humanitarian face, Hezbollah wishes to force the Lebanese people to forget the essential truth that many of their current political and economic plights and their alienation in the region are largely connected to Iran’s policies. This is a policy that has repeatedly shown that Lebanon and its people are only pawns in a never-ending game of nations, but more alarmingly, it reveals that Hezbollah is willing not only to expose the Lebanese and their fragile economy, but more dangerously, exposing what remains of their crumbling healthcare system.